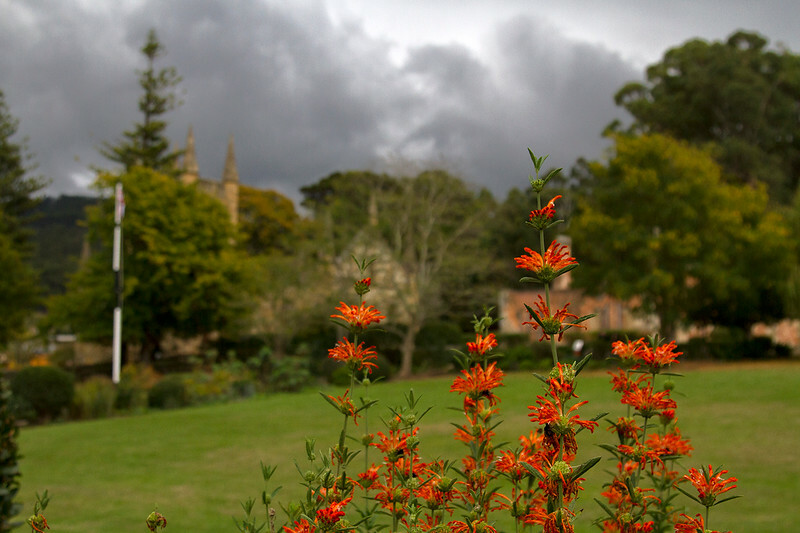 Autumn colours at Port Arthur in Tasmania. 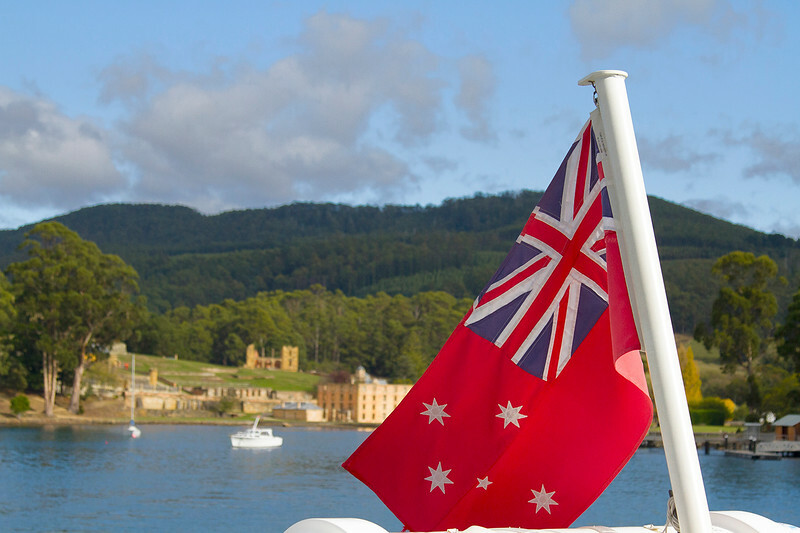 Every Australian (and possibly those further abroad) has heard of Port Arthur, for all the wrong reasons. The penal colony/colonial settlement turned historic site and outdoor museum was sadly the scene of a violent massacre in April 1996, in which 35 people were killed and 23 wounded. I was a child when this horrible event took place, but I remember it well – it is a monumental part of Australia’s recent history. This sad event was largely on my mind when I first stepped foot in Port Arthur in early May, 2017 – just over 21 years to the day of the tragedy. Some of the cottages that were part of the settlement, including the doctor’s. Beyond the massacre, my knowledge of the site was minimal. I knew it had been a penal settlement, but I didn’t know it had been a town in its own right. After the last convict was removed, it was renamed Carnarvon, with normal, everyday Tasmanians taking up residence there. I had no idea that fires in 1895 and 1897 had wiped out much of the town’s infrastructure. And I certainly didn’t realise that it was considered to be the most haunted site in Australia, although I wasn’t surprised by this little nugget of information. 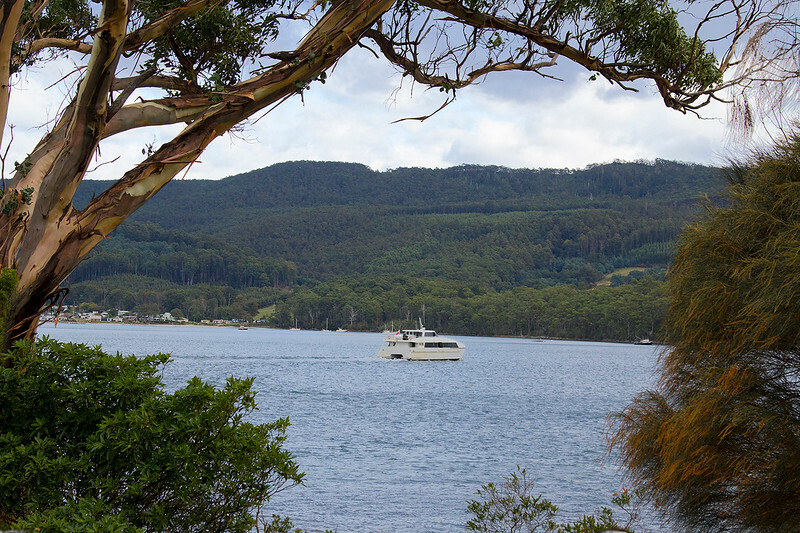 Here’s another surprising fact – Port Arthur is beautiful. Hauntingly so. Although considering that it is located in Tasmania, which may just be the most gorgeous place I’ve ever stepped foot in, this fact isn’t that astounding. The hospital on the hill. A ticket for Port Arthur ($39 for adults and $17 for children) gets you two days consecutive entry. This might seem like an unnecessary amount of time, but you could easily while away hours exploring the site. I shelled out $59 for a ticket that incorporated the Isle of the Dead Tour, because I really like boats and if I were spending the night in the area (and admittedly wasn’t alone at the time) I probably would have thrown a ghost tour into the mix as well. Here’s what you can expect to do if you visit the historic site. Each ticket holder is entitled to a 40 minute guided walking tour of the site. I did mine as soon as I arrived and it works as an excellent introduction to the area. If your time your visit to each section of the site correctly, you can catch more in-depth free talks at various other points across the settlement, like at the individual cottages. The site’s resident boat – MV Marana. Each ticket holder is entitled to a 25 minute cruise around the harbour aboard the MV Marana. For an extra cost, you can choose to hop off for a tour on the Isle of the Dead (it’s a cemetery, not as completely creepy as it sounds) and/or Point Puer Boys’ Prison. These 90 minute tours around the grounds take place at night. It seems like it would be awesome and scary as all heck, or both. 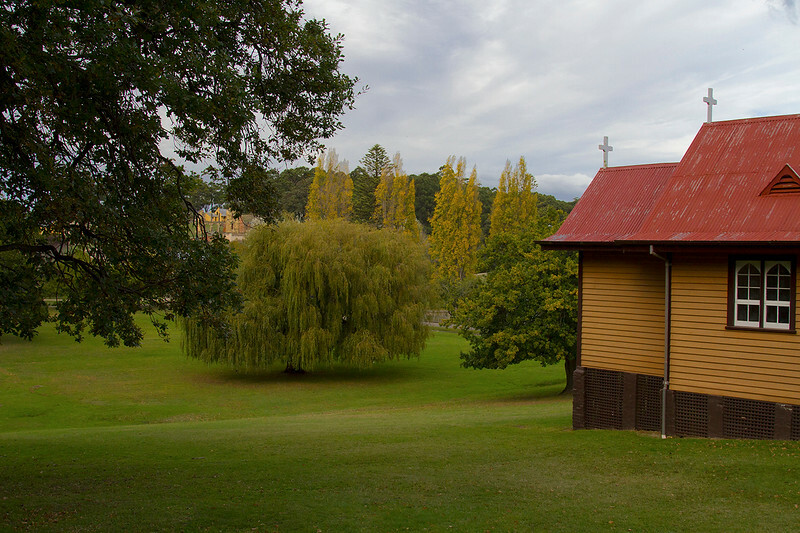 Explore the most haunted site in Australia on this adults only tour, with investigative equipment. I think I would pee my pants if I did this tour and not from excitement. Looking back on the grounds from the church. 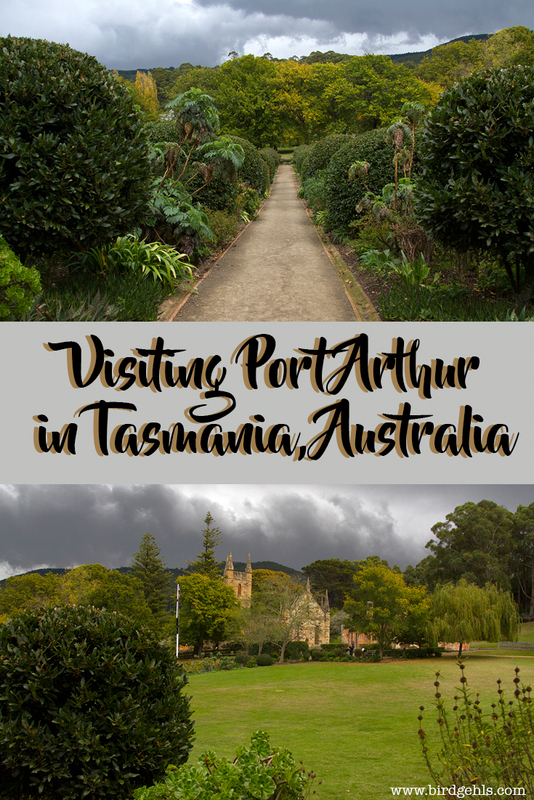 Port Arthur was the last stop for me on a 4 day road trip through Tasmania. I caught the Spirit of Tasmania in Port Melbourne and had a very leisurely drive down to Hobart. I was feeling quite refreshed, but time was of essence, as I was to fly out of Hobart that evening. I arrived quite early, a ticket in hand that would see me board the Marana and disembark at the Isle of the Dead for a tour. 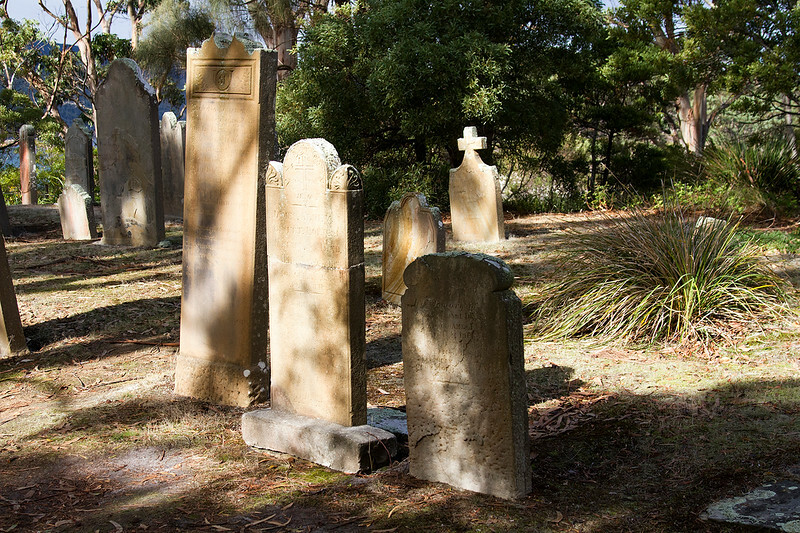 Gravestones on the Isle of the Dead in Port Arthur. I felt a lot of emotions in visiting Port Arthur. 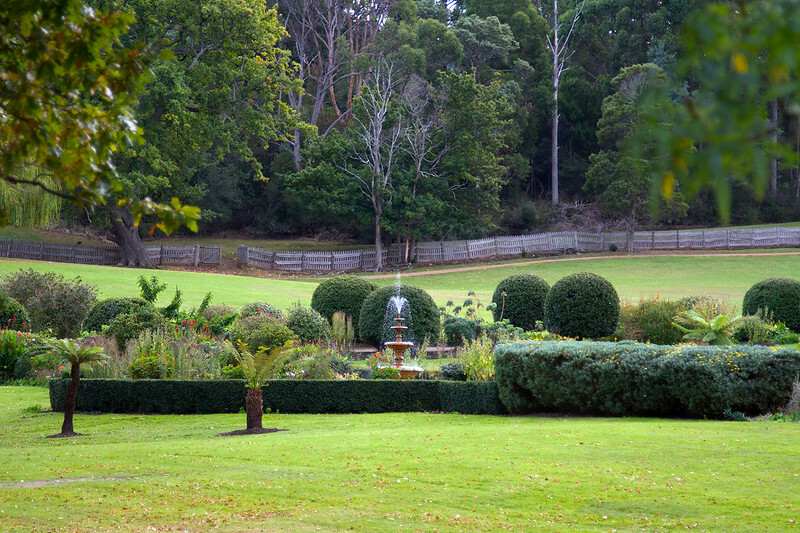 Awe, due to the beauty of the grounds, harbour and surrounding countryside. There was a sense of shame, that I have minimal knowledge of such an important part of my country’s history. The experience was a sobering one. I felt sad for the hard and harsh lives of the convicts sent to live in this cold and remote part of the world (Australia has an abysmal record when it comes to human rights abuse, which sadly continues to this day). Even more heartbreaking was the thought of the families who had entered Port Arthur on Sunday, 28th April 1996 for what they thought was a normal day out. Those who lost their lives, those who lost loved ones. Those who were injured and those who witnessed the attacks – memories they can do without, memories they will never forget. Yet, beyond all that – I had a really good time. The settlement has a varied and highly interesting history, which we’ll get into below. I loved hearing all the stories about the convicts and settlers who had lived out their lives there. The alleged “haunted” sites felt super creepy (it didn’t help that I found myself touring some of them alone). The staff were friendly and helpful and the tours – those included and others that I paid extra for, were well-worth the time and extra money spent. Cruising out to the Isle of the Dead. The Isle of the Dead was particularly intriguing and with hindsight being a wonderful and slightly useless thing, I do wish I’d visited Point Puer as well. I don’t want to say too much about it, in fear of ruining it for anyone who will make the trip in the future. Let’s just say you’d have to be a pretty interesting character to choose to live on a tiny island by yourself, with only the gravestones of prominent figures and convicts to keep you company. And it stands to reason the sunniest spots on this lonely little island were kept for prominent members of society who had passed on, with the convicts buried in unmarked graves. I didn’t take a photo of the memorial for the massacre, but here’s one for those who served in WWI. The penal settlement was original opened as a timber station in 1830. 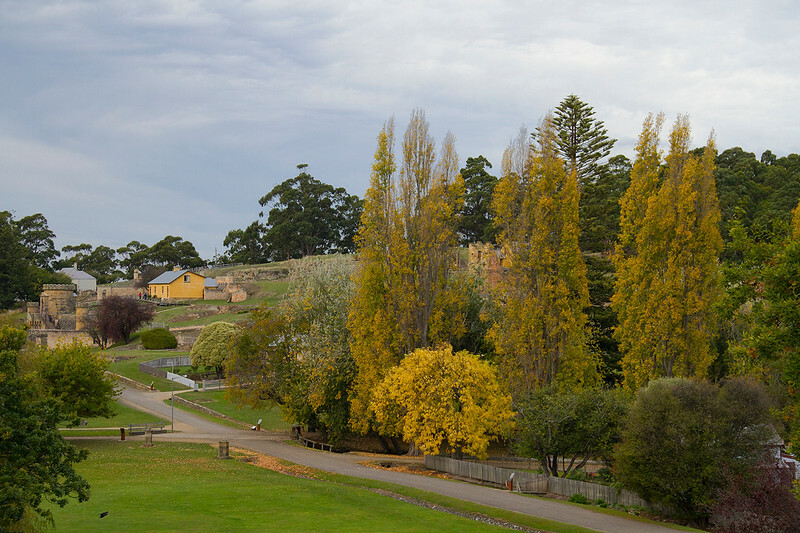 In the 1840s, the convict population began to grow (numbering into the 1000s) and the flour mill (later the penitentiary) and hospital were built. A Separate Prison was also constructed that decade, which saw the prison favouring “punishment of the mind” over physical punishment. 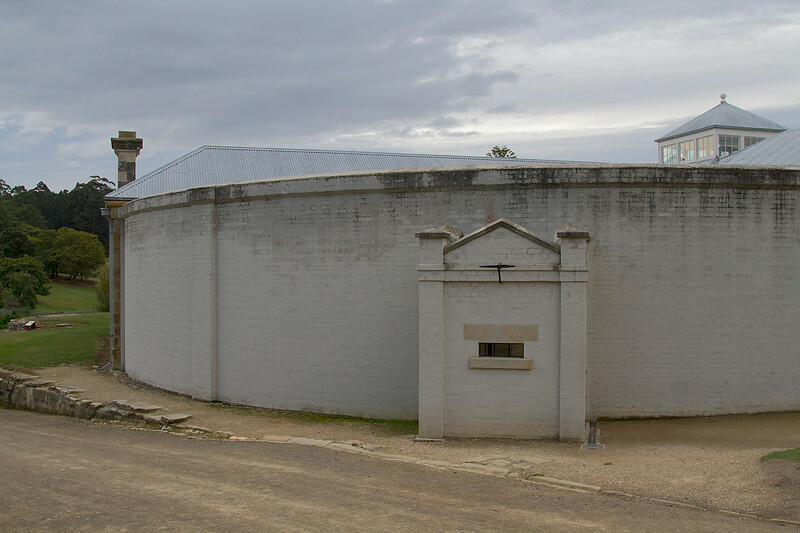 It was a place for silence, where convicts were separated and contained, in the hope that they’d think about the consequences of their crimes and repent. The back of the Asylum, which is next to the Separate Prison. 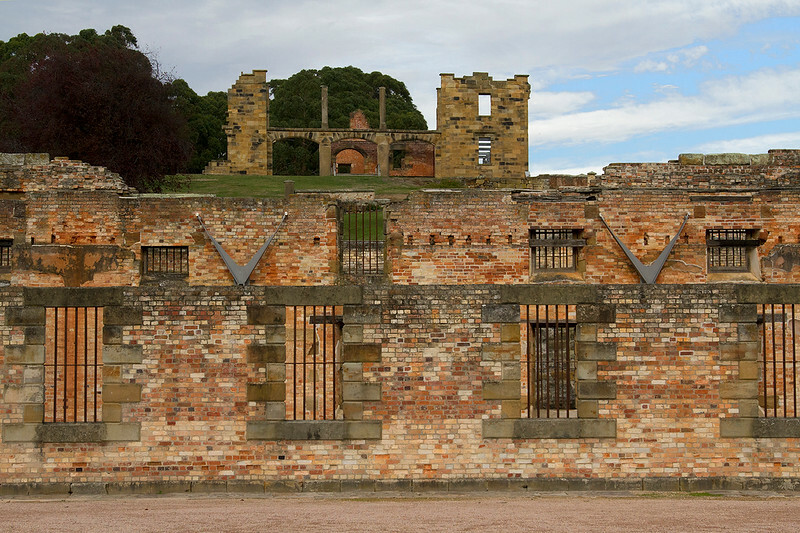 Life at Port Arthur was allegedly harsh. Convicts were required to participate in a range of jobs, primarily timber-getting and sawmill work. It was hard work, which would not prove to be sustainable, with the last convict shipped out in 1877. 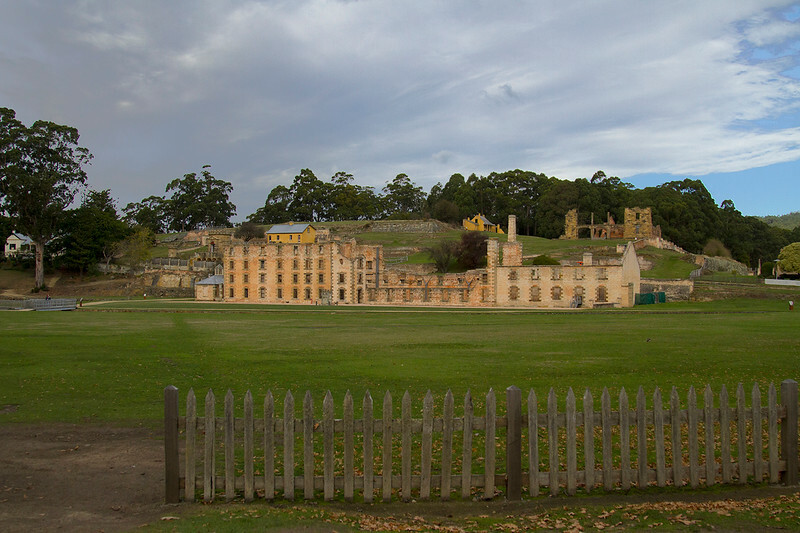 Port Arthur became a site for the aged and sick, before the town of Carnarvon rose out of the penal settlement’s ashes during the 1880s. Fires in 1895 and 1897 gutted some of the older buildings (like the penitentiary, hospital and church), but the town was fully functioning, with its own post office and cricket club. The history of the site led to it becoming a tourist hotspot shortly after, with three hotels built on site. These and other aspects of the township were later removed. 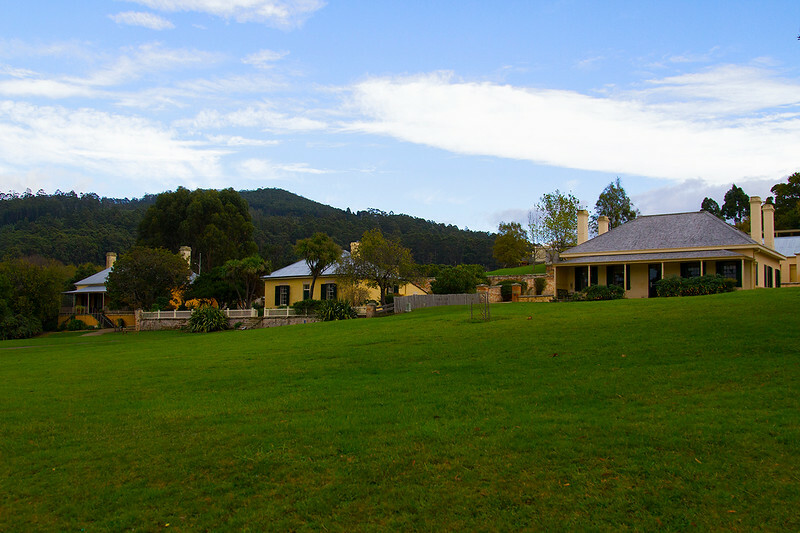 The site made the World Heritage List in 2010 and remains one of the most popular tourist destinations in Tasmania and Australia as a whole. You can read more about Port Arthur’s history via its website. Some of the gardens onsite. The massacre is certainly considered as part of the site’s recent history – so recent that people don’t really like to talk about it. I’m not going to go into details myself, but you can read an outline on the events that took place on the 28th April, 1996 here. 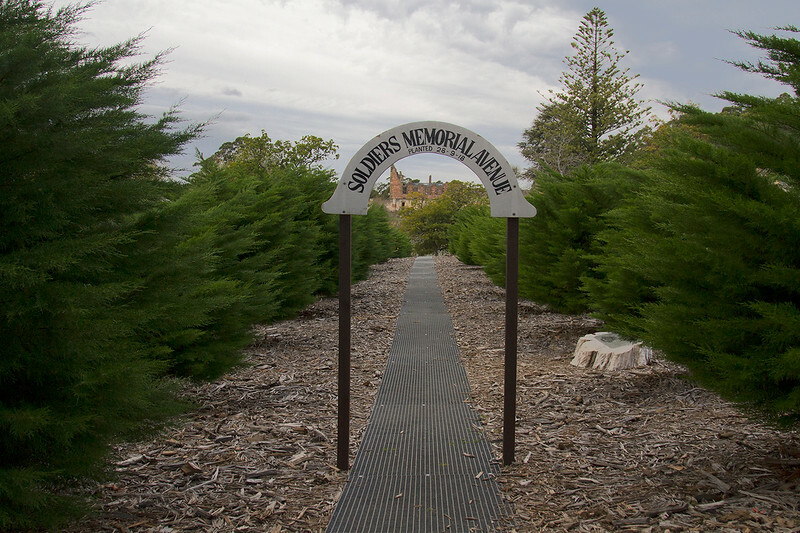 At the site itself, you can visit the Memorial Garden to pay your respects, if you so wish. I will say that the event led to decisive action from our government (for once), that led to the tightening of our gun laws and the restriction of sales. There hasn’t been a massacre in Australia since then and thank goodness for this fact. 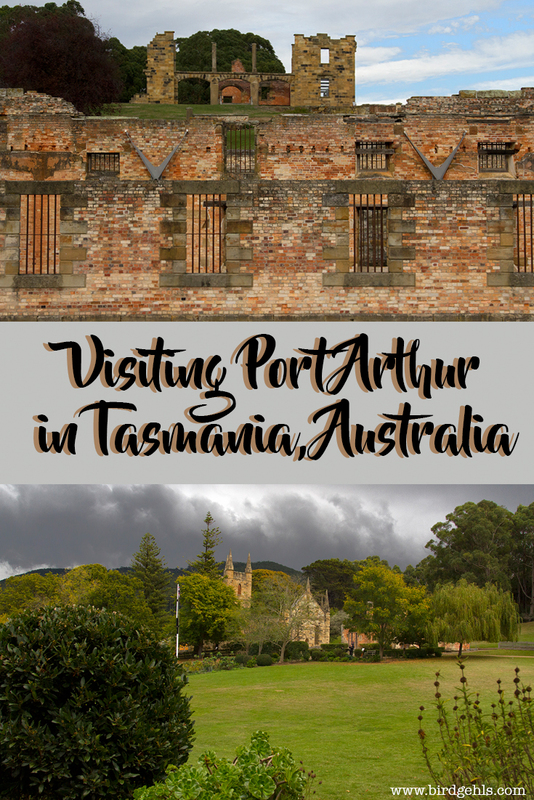 Port Arthur can easily be done in a day trip from Hobart, being a 90 minute drive from the state’s capital. I rose rather early (like sunrise-early for some unknown reason) and took a leisurely drive to to the site, stopping at wherever I fancied along the way. As for when to visit – late autumn suited me just fine. The grounds were gorgeous, filled with the colour of the changing leaves and the weather, tolerable. It wasn’t cold, but we were hit with a deluge of rain in the early afternoon. Bring a brollie with you, or a raincoat and you’ll be right. 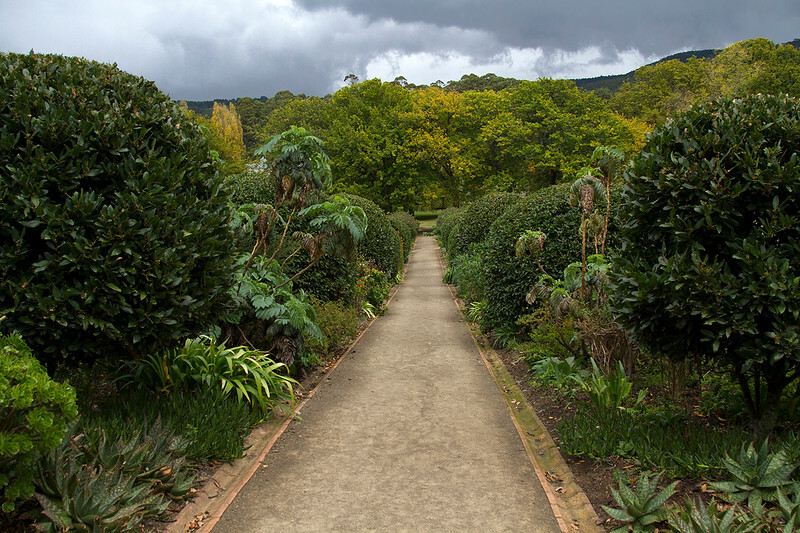 On the way back to Hobart, I stopped in at the Port Arthur Lavender Farm. Lavender season was over, so no “girl in sunhat running through the fields of purple”-type shots for me – but I could and did indulge in a lavender hot chocolate. I also bought cheese infused with lavender to take with me back home to Melbourne and I have no regret in doing this, whatsoever. For such a tiny state, Tasmania is packed with history. 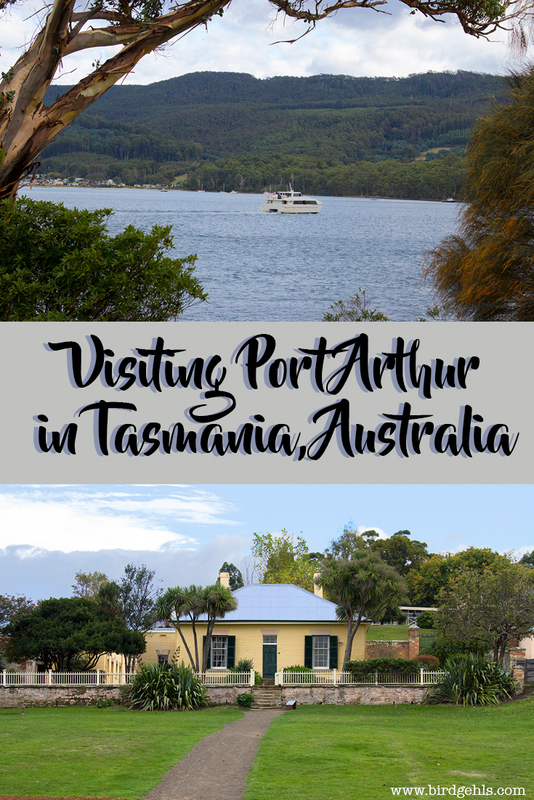 Visiting Port Arthur is something I’d encourage every Australian to do in their lifetime, as well as those from abroad who make the very smart decision to place Tassie firmly on their itinerary. 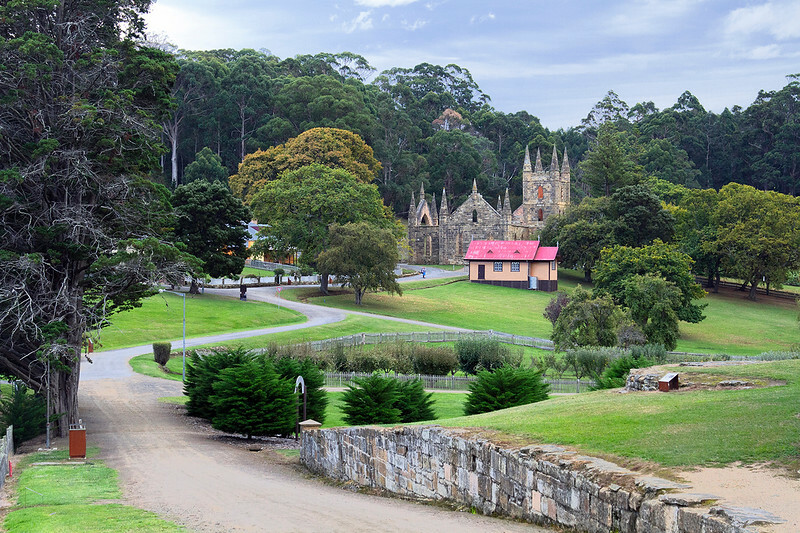 Have you visited Port Arthur? What were your impressions of the site? If you haven’t been – would you go? This article may contain affiliate links, which help maintain the costs incurred from running this site (at no extra price to you). Thanks for your support! I’ve been twice (or three times?? scratch head) but I had no idea that there was once a town called Carnarvon! Hm, there you go. And I’ve never gotten off the boat to step foot on the Isle of Dead either! Have only taken the harbour cruise (or whatever it’s called). 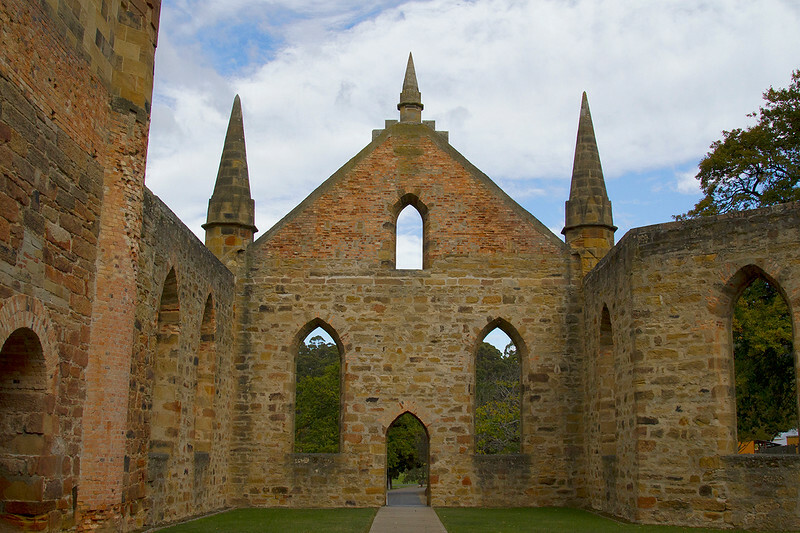 Both times I visited it struck what a hauntingly beautiful spot Port Arthur is, and how mean it was to erect a penal colony here! Being in such a picturesque spot whilst doing horrendously hard manual labour doesn’t seem quite fair. Or maybe it brightens your day, not sure. And yes, thank goodness for those gun laws! I was surprised to! I think it was pretty short-lived – it became a tourist destination so quickly. I can see why people would want to live there though – as you said, it really is a beautiful place, but hauntingly so. Definitely check it out if you visit a fourth time. I’d like to check out Point Puer next time, or do a ghost tour (although only if I’m there with a friend! ).